St Anne’s Primary school acknowledges that parents are the first educators of their children. The school supports parents in the faith formation of children by accepting the responsibility of providing a range of experiences which will nurture and develop each child’s sense of wonder in God’s presence and creation, and which contributes to the life long process of developing their faith and religious knowledge. Religious Education is the first learning area at St Anne’s, and Gospel values are integrated into all aspects of the life and the curriculum. Children are involved in formal Religious Education instruction as well as active involvement in prayer services and school masses. 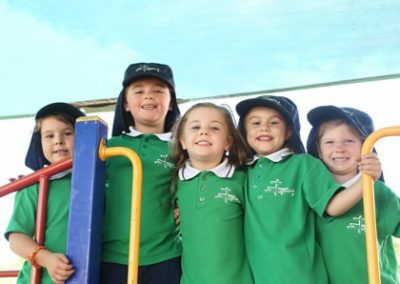 The religious topics covered in class are designed to meet the needs of the children and are based on the Perth Archdiocesan Primary Religious Education Units. The topics are designed to help the children develop an awareness and appreciation of themselves, others around them, their families, and the talents they have been given by God. 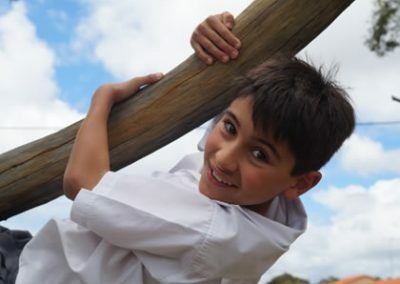 Through this awareness of their life experiences and the world around them, staff are able to assist the children in developing a relationship with God. The Making Jesus Real (MJR) program makes the person of Jesus alive for our students today, not as Jesus, as a man in history from 2000 years ago. 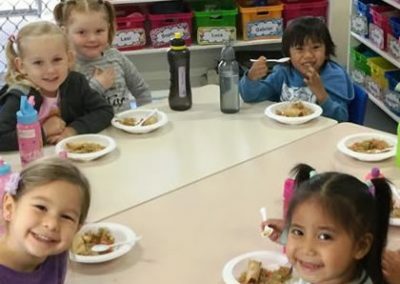 This program is aimed at helping our students gain and maintain a positive attitude to life through assisting in the development of people skills and life skills. It is based on the belief that ‘we are the image of Jesus’ to all those around us. Throughout the school year special Masses are held in the Church. These are advertised in the Newsletter and Parish Bulletin. Baptised Catholic students in Years 3, 4 & 6 will take part in the following Sacraments. Every opportunity is presented for a positive learning environment in Kindergarten and Pre-Primary classes, with the aim to provide valuable developmental experiences across all curriculum areas. 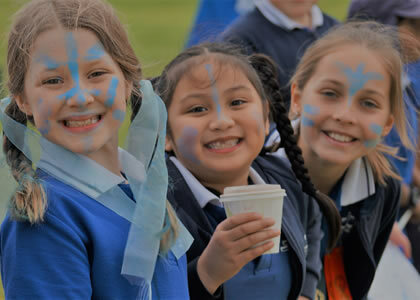 All work is carefully planned and programmed and includes a nurturing religious education experience based on Gospel values. 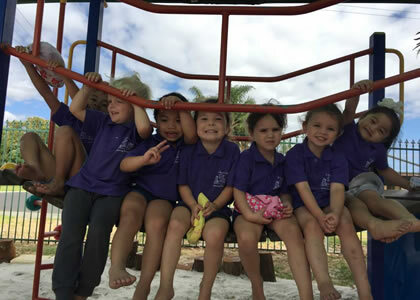 Social/Emotional Development is particularly catered for through group activities, friendship and play activities, rhythmic activities, role play and ‘make believe’ activities. 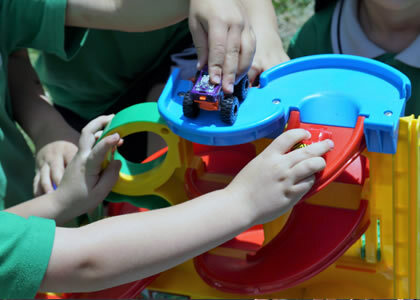 Physical Development is nurtured in areas which concentrate on both gross and fine motor skills. 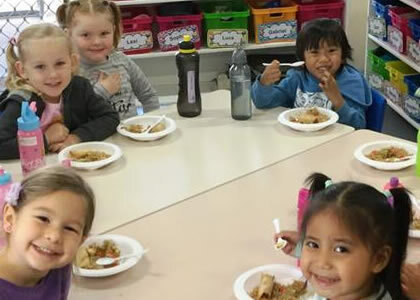 The staff are trained in presenting their groups with ranging activities and experiences that assist the students through normal developmental stages. 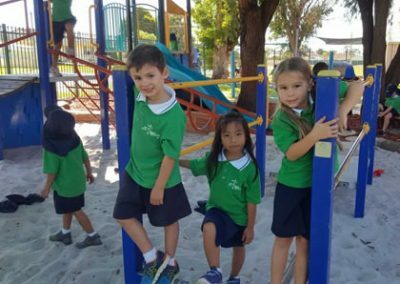 Games and activities are designed to assist students with walking, hopping, jumping, climbing, throwing and catching activities. 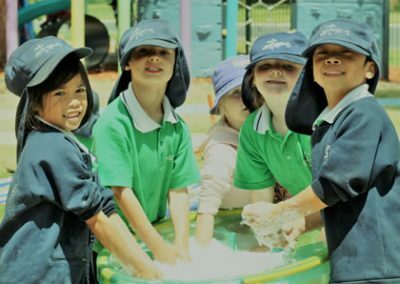 These gross motor skills enhance the development of fine motor skills including activities such as shaping dough, reproducing letter shapes, painting, drawing and block construction. Literacy and Numeracy Development is provided for through an emphasis on cognitive developmental activities and experiences. 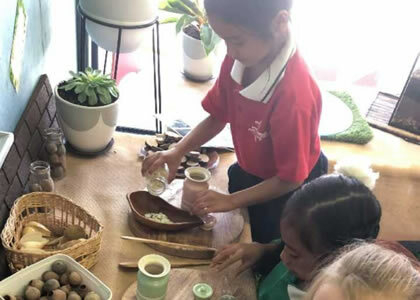 Like all areas of preparation and programming, activities are present in ways to encourage and stimulate development in language and mathematics. Sundry activities include storytelling, card games, letter activities, writing and copy activities, listening games, counting games, number recognition and developing patterns. Through the early years of school experience, parents are encouraged to help their child enjoy the Kindergarten and Pre-Primary experience without applying pressure to perform. The students whose natural developments are warmly encouraged will establish quality foundations to perform when he or she is involved in areas of literacy and numeracy. 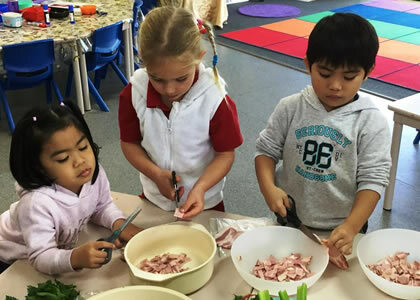 A more structured approach is further developed when the students move on to Year One. 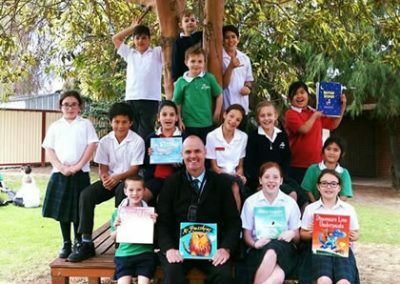 The study of English is central to the learning and development of all young Australians. It helps create confident communicators, imaginative thinkers and informed citizens. It is through the study of English that individuals learn to analyse, understand, communicate and build relationships with others and with the world around them. 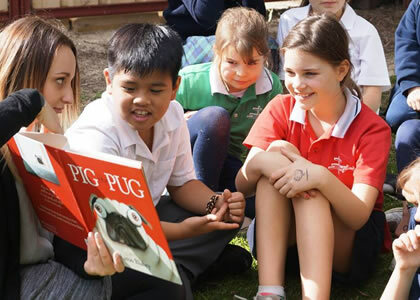 The classroom program is based on the WA Curriculum: English. 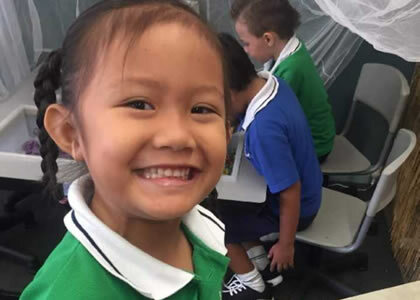 The classroom program is based on the WA Curriculum: Mathematics. The proficiency strands of Understanding, Fluency, Problem Solving and Reasoning are an integral part of Mathematics content across the three content strands: Number and Algebra; Measurement and Geometry; and Statistics and Probability. The proficiencies reinforce the significance of working mathematically in context and describe how the content is explored or developed. They provide the language to build in the developmental aspects of the learning of Mathematics. 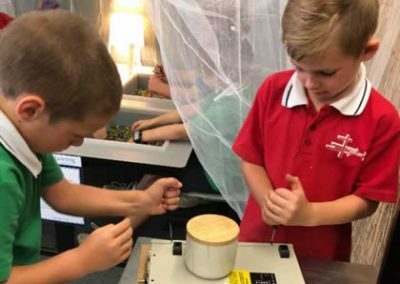 In the Science learning area, students learn to investigate, understand and communicate about the physical, biological and technological world and value the processes that support life on our planet. Science helps students to become critical thinkers by encouraging them to use evidence to evaluate the use of science in society and the application of science in daily life. 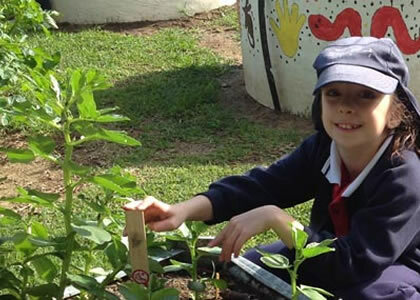 Children at St. Anne’s participate in a ‘sustainability’ programme that encourages a hands-on approach to environmental issues through the use of our Sustainability Centre. 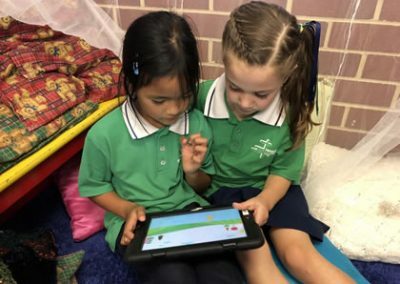 In the WA Curriculum, Information Technology is part of the general capabilities that encompass the knowledge, skills, behaviours and dispositions that, together with curriculum content in each learning area and the cross-curriculum priorities, will assist students to live and work successfully in the twenty first century. 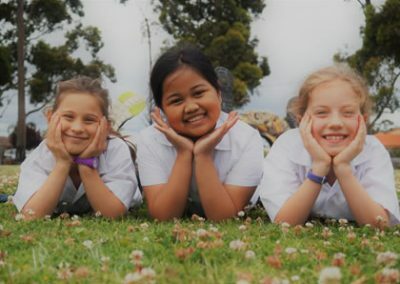 Our school Information and Technology programs are organised by all classroom teachers and support all learning areas of the West Australian Curriculum. ICT, including computers, are used throughout the curriculum, integrated into teaching and learning programmes providing students with access to update information as well as the ability to produce work in a variety of forms. 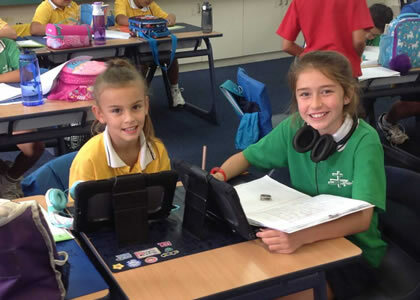 Each classroom is equipped with a Smartboard or equivalent technology, and a bank of iPads and/or Chrome Books. In the Arts learning area, students develop creative skills, critical appreciation and knowledge of artistic techniques and technologies in dance, drama, music, visual arts and combinations of art forms. 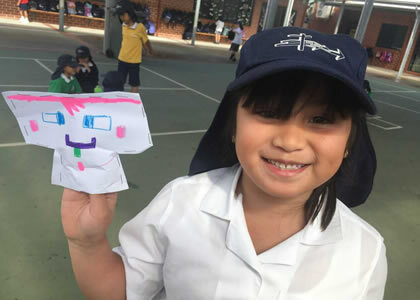 The Arts develop students’ sense of personal and cultural identity and equips them for lifelong involvement in and the appreciation of the Arts. 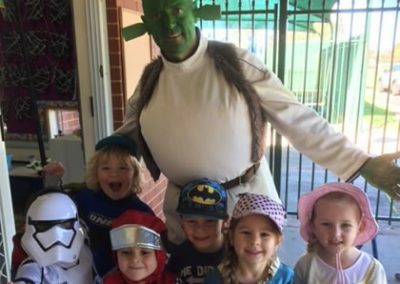 At St Anne’s teachers integrate The Arts into their programs. Specialist tuition is given in the following areas. St Anne’s Art programme allows the children opportunities to express their ideas and feelings through techniques of drawing, painting, colouring, printmaking, collage, papercraft, textiles, weaving, 3D activities and ceramics. 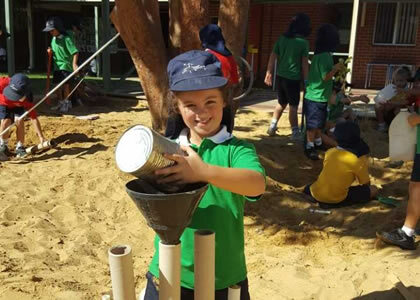 Students experience enjoyment in developing their creative potential. Materials available for art and craft are supplemented by assorted “junk” materials collected from home. A store of these has been organised in the Art Store Room and from time to time requests will be sent home for useful materials. 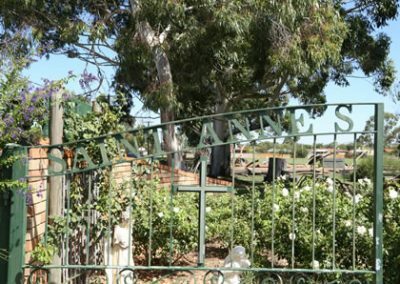 An annual Art Exhibition is held and class art work is displayed at the Harvey Show. The Music programme aims to develop good aural skills, the ability to keep the beat and sing in tune; and enjoyment and appreciation of music. 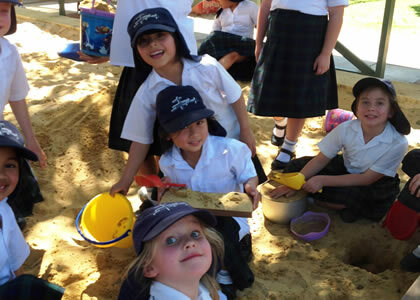 Activities including singing, listening, moving, playing and creating are carefully structured and sequenced. As concepts are clearly understood children develop music literacy skills, and together with sound aural ability, this forms the basis of a musically educated person, able to pursue more sophisticated music training. Private tuition in piano, the drums or guitar is also available through ‘The Music Room’. 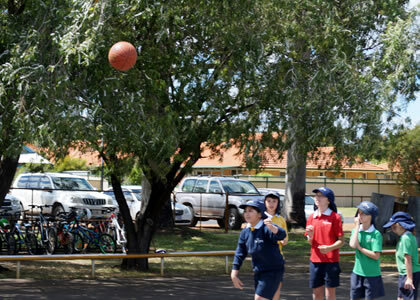 Health and Physical Education provides students with an understanding of health issues and the skills needed for confident participation in sport and recreational activities. 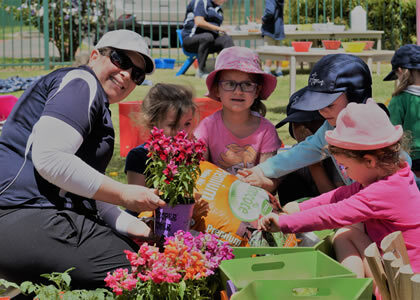 This enables students to make responsible decisions about health and physical activity and to promote their own and others’ health and well-being. 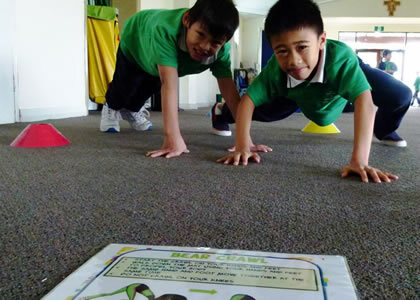 Children from Year One to Year Six receive weekly lessons from a specialist Physical Education teacher, which focus primarily on the development of sports skills. It is important that children are properly attired for physical education lessons. Parents will be notified of the day/s their child’s class has Physical Education. On these days students are required to wear the school sports uniform. 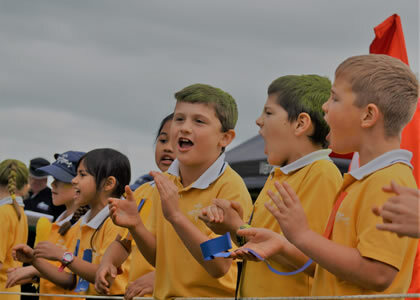 Each year children participate in a school Faction Athletics Carnival and an Inter-School Athletics Carnival. Children from Years 4-6 also participate in a round-robin style Aussie Sports competition against St Joseph’s Waroona, Waroona District High School and Carcoola Primary School. 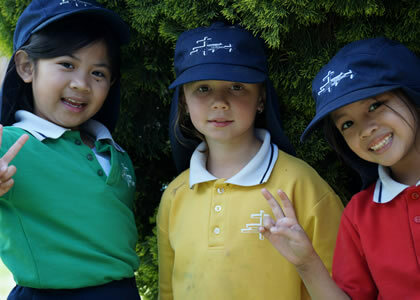 The school also has an annual swimming and cross country carnival. Students at St Anne’s also participate in a unique Gymnastics program. Children from Year One to Year Six take part in this program which is led by an accredited gymnastics coach. Students are able to learn the skills and discipline that the sport of gymnastics provides. In the Languages Other Than English (LOTE) learning area, students learn to communicate effectively in languages other than English. 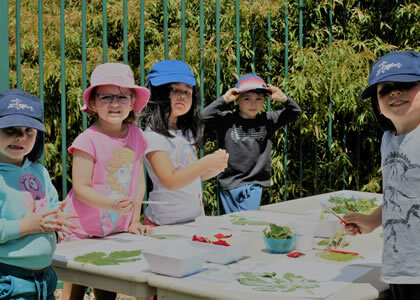 They gain an understanding of other societies, the ability to interact with people and cultures other than their own and practical skills which they can use in future social, cultural and vocational areas. 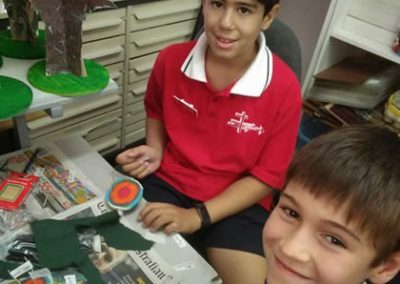 Through LOTE, students are also able to further develop their skills and understanding in English and of literacy in general. Specialist Tuition for LOTE at St Anne’ is given in the ITALIAN language. Children from Year Two to Year Six have a 60 minute LOTE lesson each week. The aim of this programme is to provide support to classroom teachers and students throughout the school. 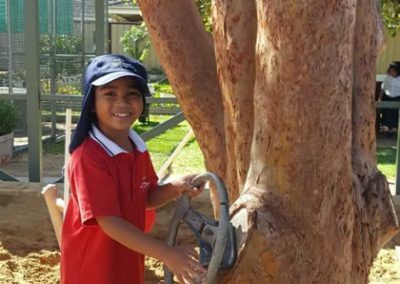 Support is in the form of developing specific programmes for individual students, at their own developmental level—and thus enhancing their learning. It may also involve extra personnel working with individual students—or groups of students. Reading Recovery is used with selected students in Years One and Two. Reading Recovery is an intensive early literacy intervention designed to significantly reduce the number of children with literacy difficulties in schools. The program provides daily one-on-one teaching with a specially trained teacher for children making the slowest progress in literacy learning. It is supplementary to classroom instruction. Pre Lit, Mini Lit & Mac Lit is used with selected students. This style of intervention is an evidenced based, best practice literacy intervention program for children in Kindergarten through to Year Six. 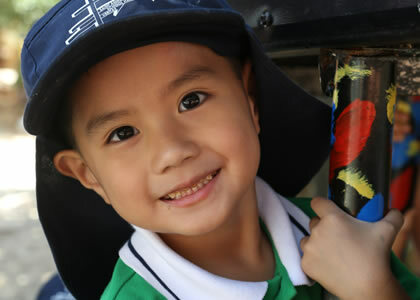 These programs comprise of sounds and words activities, text, reading and story book reading. 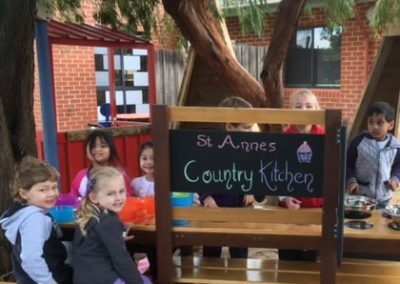 Staff at St Anne’s are trained in the Keeping Safe: Child Protection Curriculum, developed by the Government of South Australia. Keeping Safe is highly regarded throughout Australia and is supported by Catholic Education Western Australia. 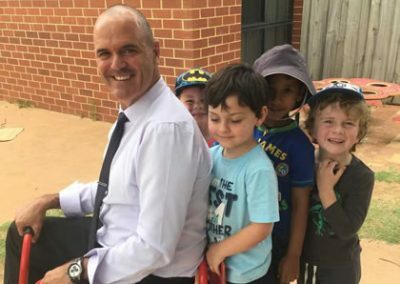 Parents and caregivers play a very important role in assisting staff to develop these important characteristics, skills and understandings within all students.